After a day of gut wrenching testimony before the House Foreign Affairs Committee earlier this week in which families for four Americans imprisoned unjustly in Iran spoke out about the brutal torture their loved ones have been subjected to, the Iran regime’s trusty lobbyists, the National Iranian American Council, did not even have the wherewithal to join in the condemnation of Iran’s mullahs for this appalling human rights violation. Instead, the NIAC issued a matter-of-fact recitation of the testimony and noted the passage of a bipartisan resolution sponsored by Rep. Dan Kildee (D-MI) calling for the release of Americans detained in Iran, including Amir Hekmati, Jason Rezaian, Saeed Abedini and Robert Levinson. But the NIAC could not help itself. It seems to be permanently conditioned to always find a way of supporting the regime no matter how debased the actions it undertakes. In this case, Maria Hardman went to great lengths in attempting to explain the hostage-taking was an act committed by “hardliners” in Iran opposed to any rapprochement with the West and seeking to undermine nuclear negotiations. She went on to take issue with calls by some Congressmen to hold Iran accountable for the illegal detentions, including linking them to ongoing nuclear talks. Hardman seems to posit that linking the two would somehow prove disastrous for nuclear talks. It is an old argument she espouses, one that regime supporters such as Trita Parsi, Jim Lobe, Eli Clifton and others have consistently offered up – not as a pathway to securing the release of these hostages – but rather in trying to remove any obstacles blocking the regime’s access to a favorable deal that would reward mullahs in Iran with billions of dollars in cash, foreign investment and oil sales. Rather than take the opportunity to condemn the mullahs for these illegal acts and the very high price being paid by these men and their families, Parsi have hardly uttered a word in support of these innocents. Aside from initial statements calling for their release at the time each of them was arrested, there has been scant mention by any Iran lobby supporter. 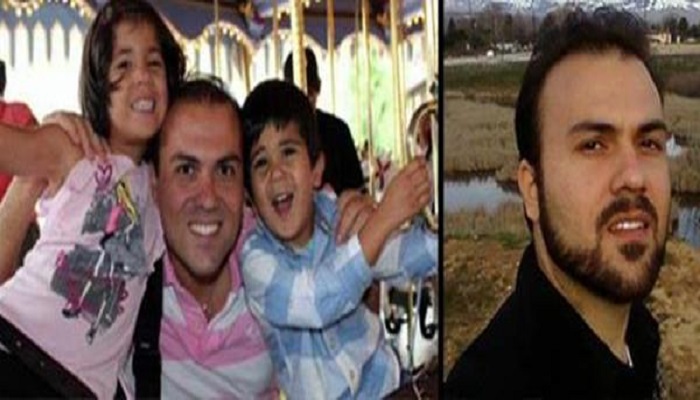 All you have to do is Google search “Trita Parsi” and “Saeed Abedini” for example and you will find the lack of quotes from him urging the imprisoned pastor’s release as rare as rain in California these days. It is also worth remembering that while the Iran lobby attempts to portray Iran as riven by battling hardline and moderate factions, the simple truth is that the various factions within the Iranian regime are no different, when it comes to their treatment of their people. The regime is firmly and completely in the thrall of the mullahs who control – under the constitution – all aspects of Iranian life, including cultural, military, judicial, legal and economic. All power vests solely within top mullah Ali Khamenei and his recent comments have made clear what his expectations are about a nuclear deal. The regime is firmly committed to twin goals: 1) To remove as quickly and as completely as possible all economic sanctions in order to rescue an economy run aground by rampant corruption and mismanagement by the ruling mullahs; and 2) To maintaining of Iranian regime’s nuclear development in order to extend its control over new territories it has gained through proxy wars in Syria, Iraq and Yemen. A task that the Iran lobby seems to be very dedicated to.